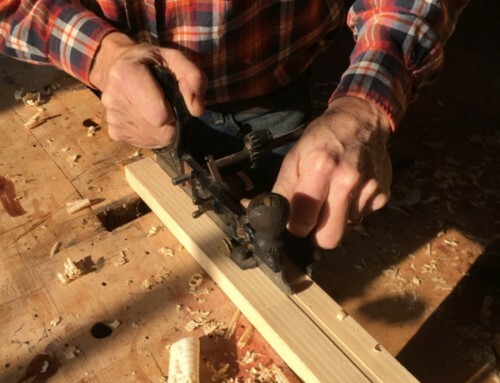 As a woodworker there are a few times when you need something unusual or just in a hurry, and these are the times you need to just make tools for yourself. Here are some examples of tools I’ve made on the fly. This plane I made for making a curved dado in the frame of a door that had a tombstone panel in it. 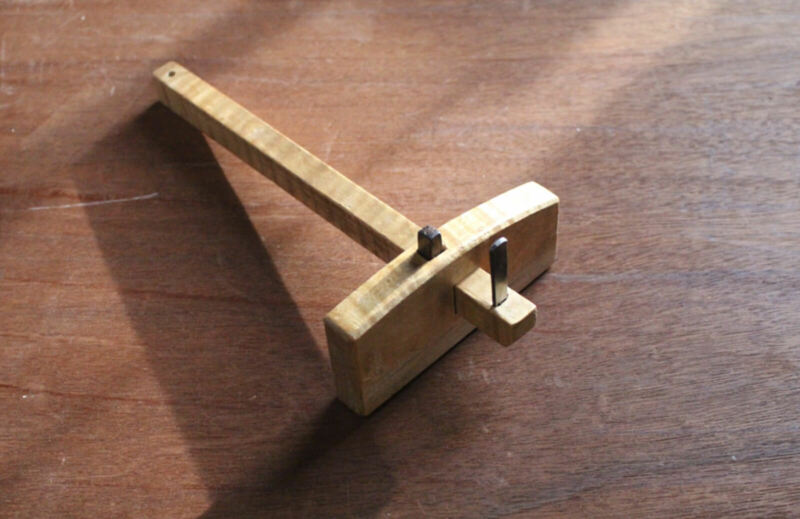 The top rail needed a semicircular dado, and I didn’t want to use a router, and chiseling it out just seemed a little too Neanderthal, so I made this small plane with a curved sole to plow it out. It worked great! I made the radius a bit smaller than the door radius. Of course, as in many of these situations, I could have chiseled out ten dadoes in the time it took me to make the plane, but the hope is always that you’ll get that time back next time you use it. This cutting gauge was actually given to me by a friend, so I can’t take credit, but it’s a nice project that revolves around the Japanese blade, which is fantastic. A wedge holds the arm. I did modify the placement of the wedge to get it out of the way a bit. ( apologies to John Shortt) I use this almost daily. 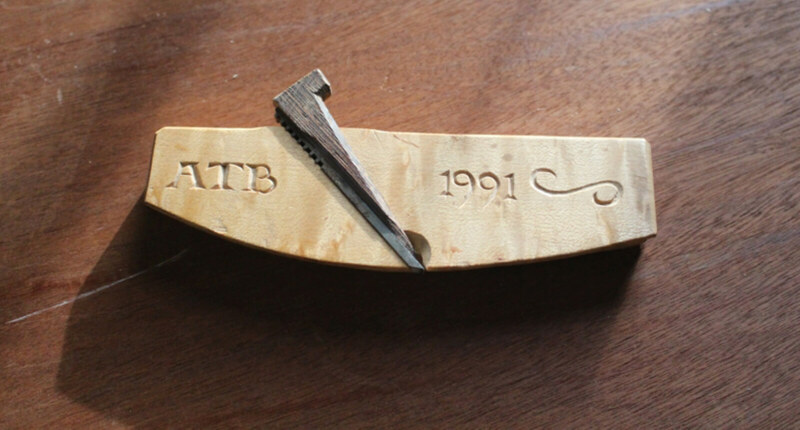 Another marking gauge that I made while teaching a class. I think my point was that brass and rosewood are not required. I did a lot of the cutting on the mortising machine, so I think this was about a half hour project, and it’s been working great for about ten years. I did put in a longer screw to hold in the blade at some point. 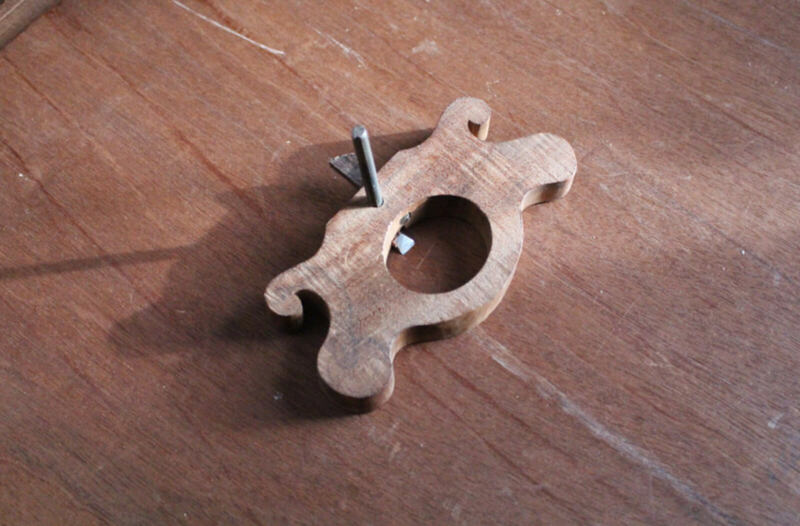 This router plane was copied from an “old woman’s tooth” pattern that I saw in an antique shop. I think I made it to back out some carving. 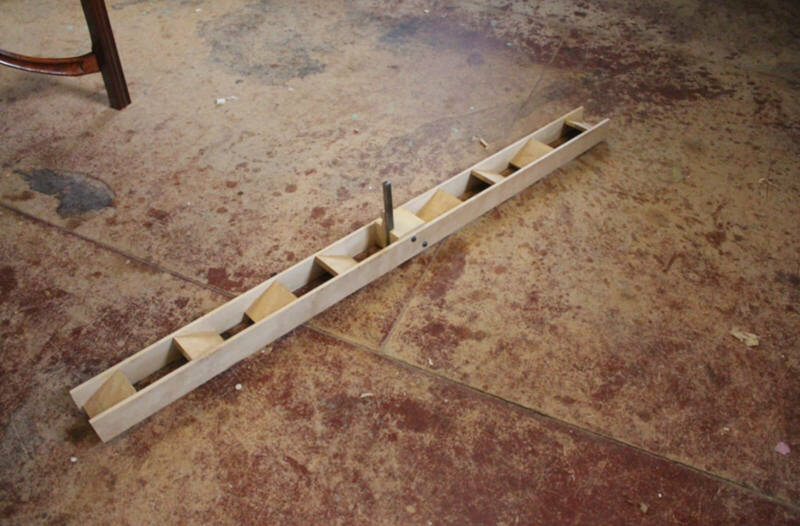 The blade is a plow plane blade held in with a dovetailed wedge. 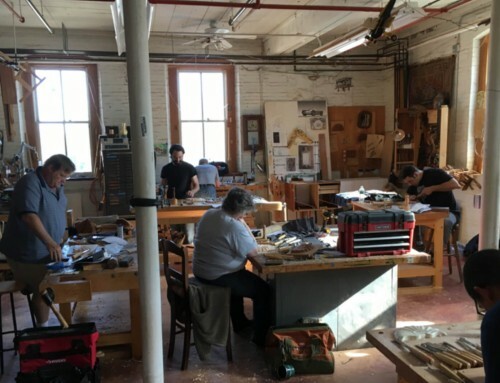 I have since seen an old tool catalogue somewhere that also had a router plane that used plow blades, the advantage being that they come in a large assortment of widths. Another much smaller router plane that I made to clean out around carvings. 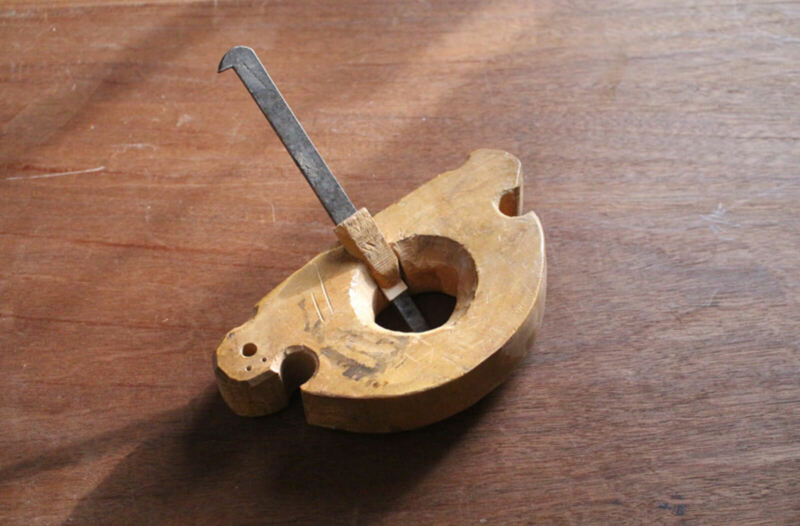 The blade here is from a modern Stanley small router plane. Evidently allen wrenches make good blades, but I haven’t tried them. 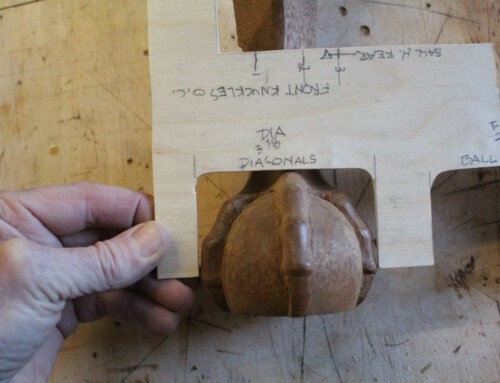 I also have a router plane that is essentially a truss beam, about three feet long with a blade mounted in the center. 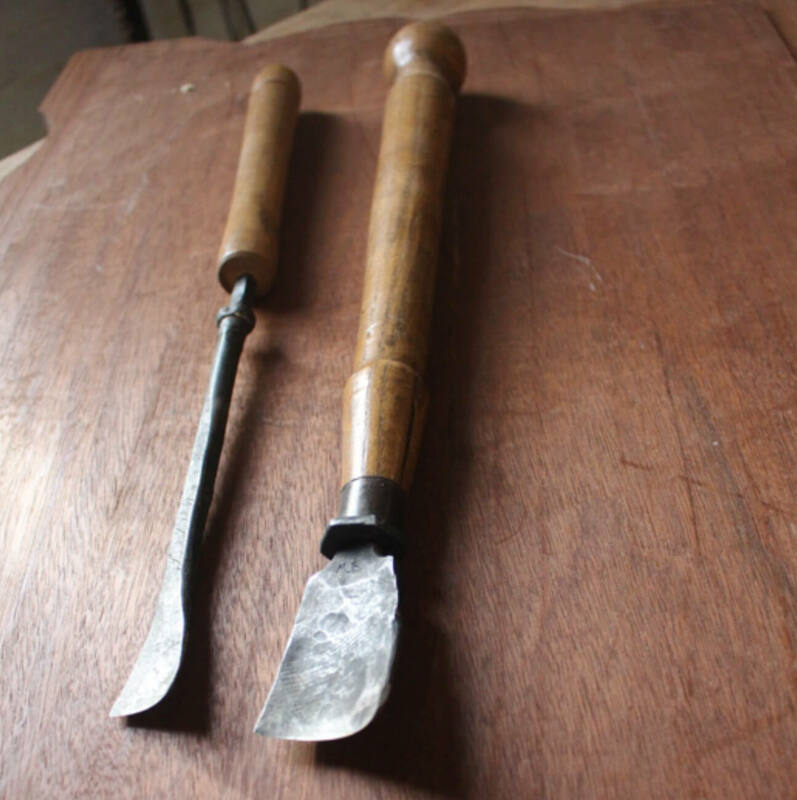 I use this one for cleaning up the tops of piecrust and turreted tea tables, or any table top with a molding carved from the solid. After reading Alex Weyger’s books on blacksmithing, I decided that there was no reason why I couldn’t forge some turning tools from old auto parts, so a friend and I set up a forge in an old auto rim and banged away at some engine push rods and old files until they could be recognized as tools. Turns out that the tricky part is tempering them……so the edges are not exactly consistent in hardness, having parts that hold an edge forever and parts that do not. 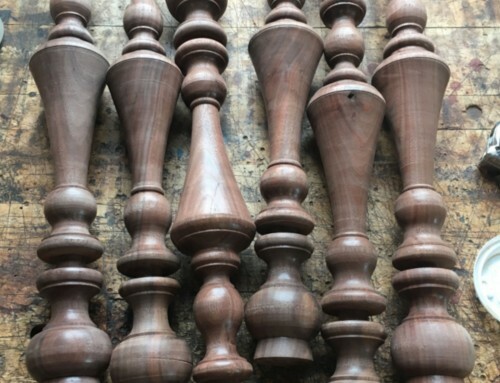 However, I can admit to having roughed out hundreds of spindles with the big one and done quite a number of vases with the little one. The big one will actually do most of a Windsor chair leg if you use the pointed parts as a skew, so I guess our blacksmithing experiment was mostly successful. The motto of the toolmaking story is that it’s probably not a good use of your time to try to make a no. 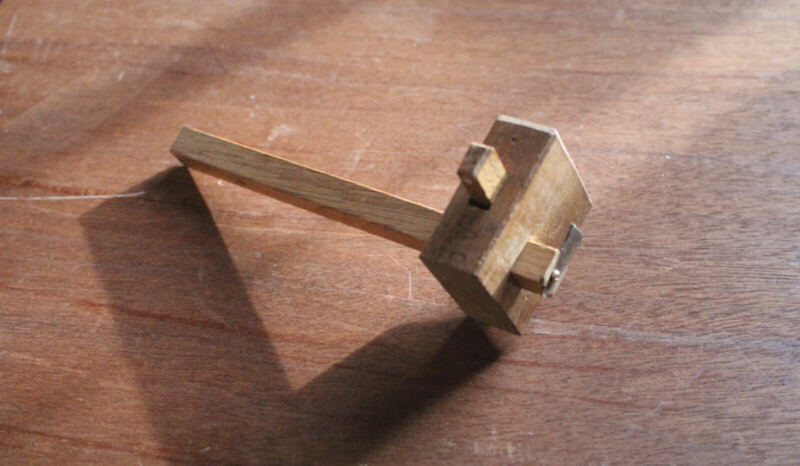 7 smoothing plane when you can buy an old one for cheap, but it is efficient and fun to make simpler tools that are pretty low tech. I have made quite a few planes that I’m not including here because you can see one or two of them, and lots of info on my favorite ones in an upcoming article in FWW magazine. 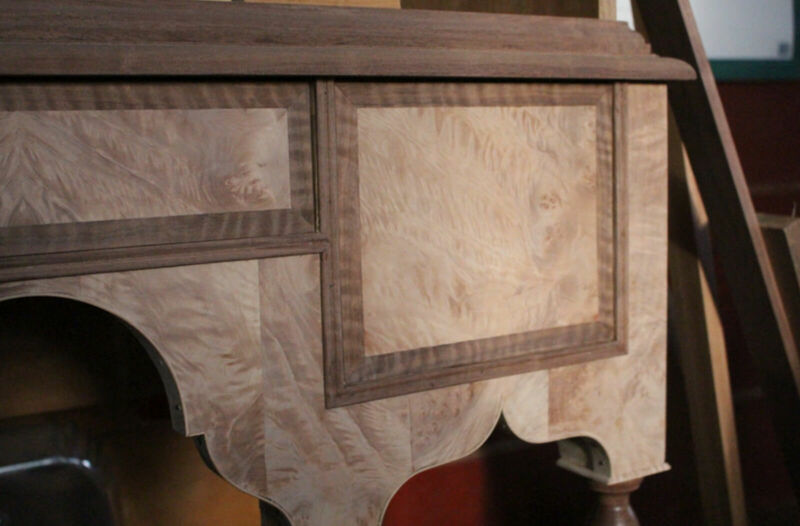 On another note, for anyone curious about the progress on the veneered highboy, here’s an update. My wife did her first veneering with some very figured maple and curly walnut for the banding. She did this of her own free will. For the record, I did not hint that if she wanted a veneered highboy she should veneer it herself. Great job for the first time out! Image is her veneered draw set in the case. Progress!